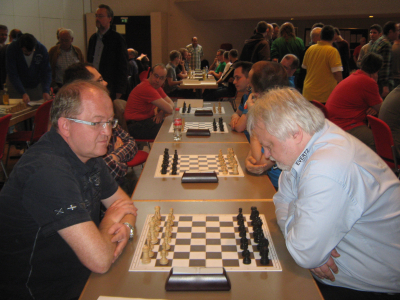 beating the strong Bundesliga team Solingen with 3-1.
impressed by beating strong hot shot, GM Matthias Blübaum. scored more, but it was tough opposition. 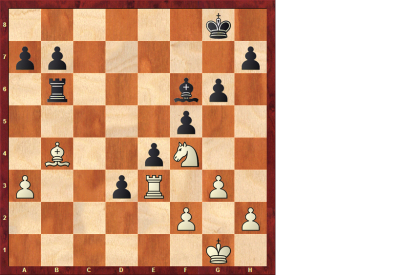 45 points and is German Team champion in blitz. and Roland before the match started. 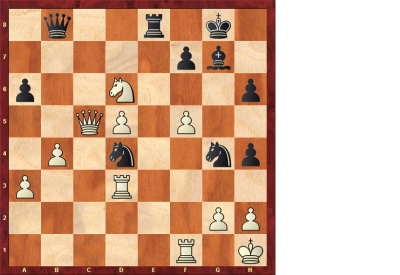 unfortunately lost when his pieces fell from the chess board onto the floor. report on the homepage of SG Leipzig. Her er løsningen på lørdagsnøtta.Gordon Brown-Howell:1.-Sf2+! 0-1.
før en vinner er kåret. Birmingham 2015. Svart trekker og vinner. 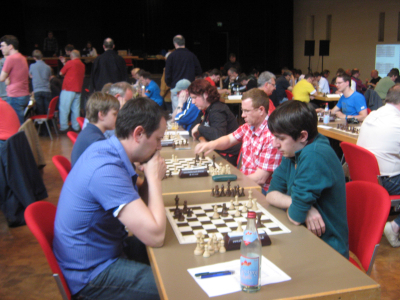 Tomorrow the German Teamchampionships in blitz will be held in Garching. round will start about 11.30.Read more on the homepage of the tournament. knabbet den siste pallplassen på bedre kvalitet enn Bjørnar Knudsen. Begge disse to 4 poeng. 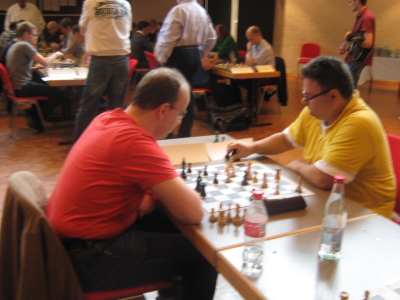 GM Viesturs Meijers (right) is the favourite in Turm Open in Lippstadt. have signed up to participate. Handke is the new overall leader. 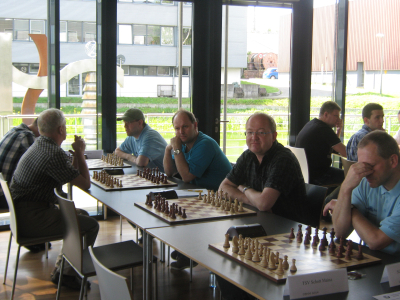 blant dem GM Sipke Ernst, GM Benjamin Bok og GM Bartosz Socko.